I am looking for other ways of connecting an external keyboard to Jornada 720. This post shows very rare keyboard that connects via serial port on Jornada 720 keyboard thread. My question is, is there a way to connect PS/2 keyboard? This post discusses PS/2 mouse connected to Jornada 720 Mouse thread. I was wondering if the same method can be applied to change the driver to work with external keyboard on Jornada 720? Furthermore, are there any type of infrared connected keyboards that were available for Jornada 720? P.S. I am trying to make a fully working mini laptop out of Jornada 720 with the external keyboard, VGA out to HDMI and mouse. 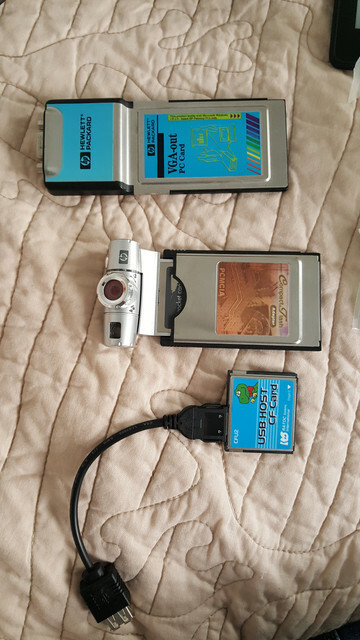 I never owned a Jornada 720, but how about converting PS/2 to USB with an adapter? The problem is Jornada 720 does not have any PS/2 ports. If you read the thread, they use Sync cable of Jornada 720 that has DB9 serial port for connecting to PC. They used some converters to convert that DB9 to PS/2 and one of the members wrote a driver for the mouse support on Jornada 720. Suppose, I follow their procedure using adapters to connect PS/2 mouse to my Jornada 720. Of course, the mouse would work after I install their hand-written driver. But what about keyboard? Generally, Do PS/2 keyboards and mouse work interchangeably if I swapped their position in a regular PC? I don't have access to PC with PS/2 ports. So, what I am asking is, does a PS/2 keyboard work if I plugged it to PS/2 port designed for a mouse? If yes, then great! I will need to remap keyboard buttons from the available mouse driver in the old post. There are a number of full size external keyboards that were designed for pocketpcs running Windows CE 3.0. They used the connector (pretty much standard serial) port of the pocketpc. The problem lies in the fact that once you use this port for data in/out, you can no longer use it for other file transfer simultaneously. To sync your data, you would need to disable the keyboard driver to free resources. Thank you! Can you please, name some of the external keyboards that worked with Jornada 720? I will do further research on them on eBay. Ah. I read the spec of the J720 and I noticed that the Jornada 720's cradle's USB port is slave only, not master. Sorry about that. I don't know if this will help you, but I found a pinout for the sync cable & cradlle for 680 / 720 in this site: . Although my Sigmarion 3 has a USB host (via cable) for connecting keyboards, it needs a USB HID driver. So I don't know, but I suppose that the PS/2 keyboard needs its own driver? Seems like depending on laptop, keyboard / mouse ports are same, and some aren't. If the person who made the mentioned driver with driver for keyboard, you got lucky! A chipset for a 16-bit PC Card to USB 1.1 adapter was developed (CFU950) but it was never implemented in a finished product. That's basically the only chance of external keyboard support as the interface can't support a PS/2 controller. How about this thread: mouse thread. The guy named ShadowMaster wrote a driver for Serial mouse that uses Microsoft protocol and as many commented there it worked. My question is, can't I use PS/2 to db9 adapter and manually map PS/2 keyboard signals on Linux. In theory, that is possible, right? And about the USB adapter: In this thread CE Geek mentions RATOC CFU1U which I could not find as of now. Could that be used for the external keyboard in theory? If yes, how? That is a surprise to see they are still selling those JOrnada external Keyboards (still with the original price EU100). The second link is in Japanese, right? It mentions about the driver, but I could not access it. Thanks for the links. Sometimes knowing other languages really helps! Why does not ratoc CFU2 support Pocket PC 2000 (Jornada 720)? As far as Ratoc cfu1 goes, they both are exactly the same spec wise. Perhaphs, CFU2 also works with Jornada 720 but no one tried it? or Is it the issue with drivers? If it is not related to hardware and only drivers, I can use Linux and try CFU2 as USB host. Please, let me know your thoughts. Now my question is, is it going to work? If yes, I will be finally able to connect an external keyboard! I finally have the ratoc cfu2. But I don't have the drivers for wince 3.0 HPC 2000. Is there a way I could make it work? Then external keyboard would be easy to use with USB.